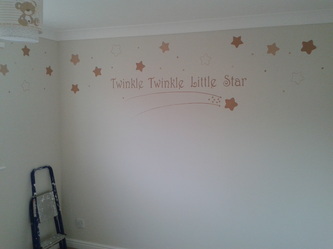 Having a hand painted wall mural does not mean that you have to have something covering the full wall, we can produce something nice and subtle that can be in "tune" with the rest of the room. 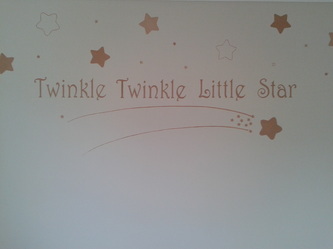 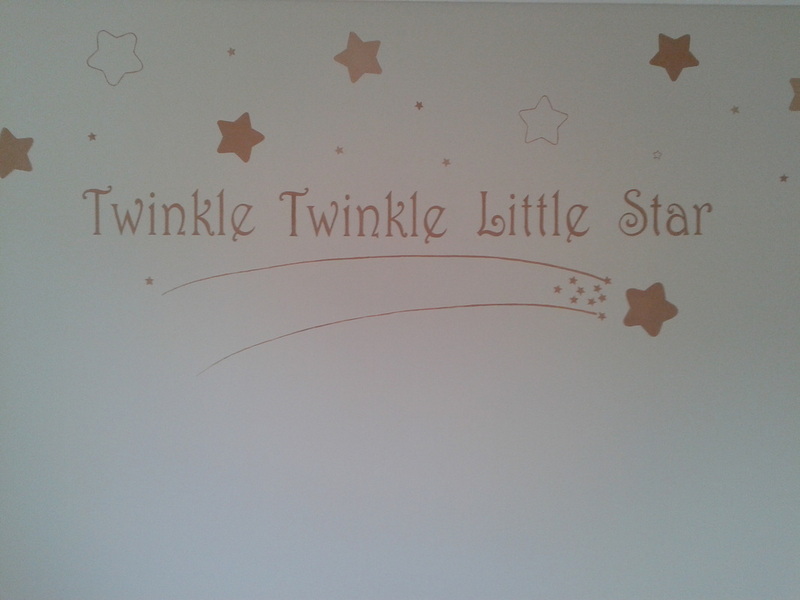 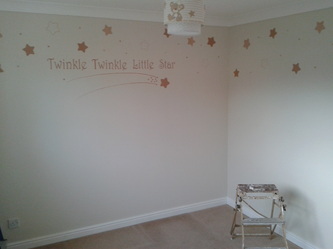 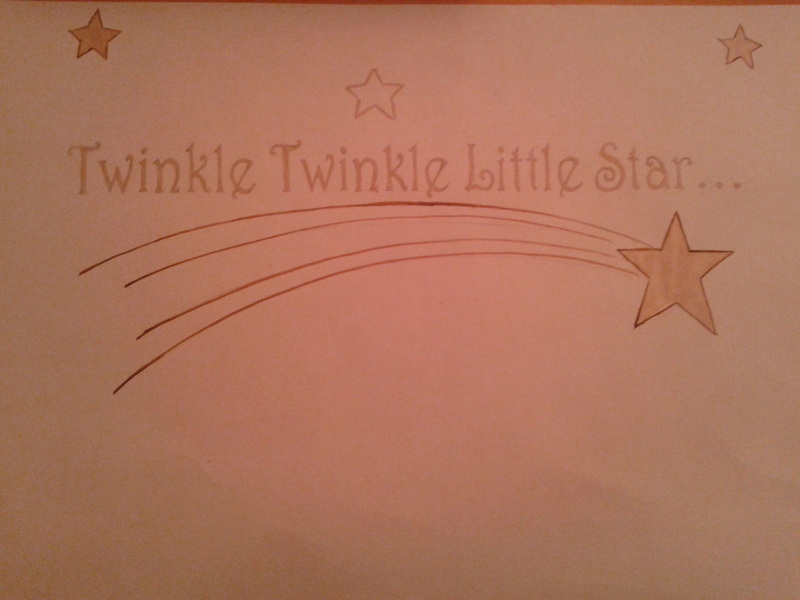 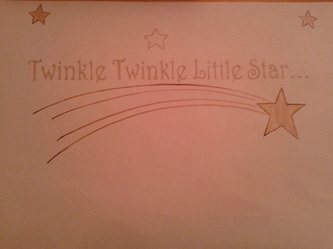 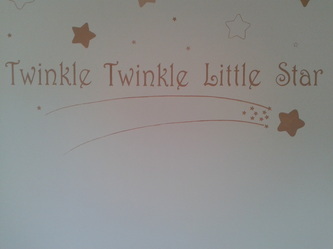 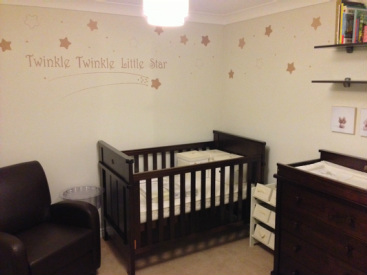 Below you can see the progress from design to finished article for this Twinkle, Twinkle Little Star hand painted wall mural. The client here had a very clear idea of what they were looking for, and having been let down previously turned to Mad Hatter Creations to provide them with a solution for their Nursery Mural.